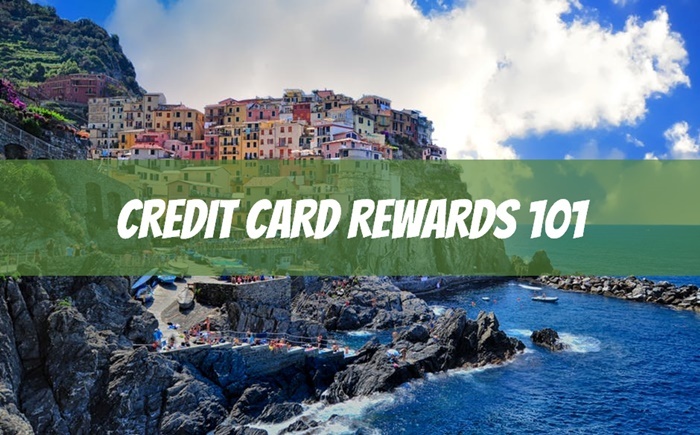 Over the last 10+ years, credit card rewards have earned my wife and I thousands of dollars in free money — in the form of cash, gift cards, and travel — just for buying the stuff we would have bought anyway. It’s not hard. We just put as much of our spending as possible on credit cards, and strategically sign up for new ones with attractive bonus offers. And because we pay our balance in full every month, it’s all been at 0% interest. Some say banks and credit card companies are evil. You just have to be smart about how you use them. You might not think of credit card rewards as a side hustle, but it’s been a profitable hobby of mine for years. After all, every dollar counts! Credit Card Rewards: Why Should You Care? Two of my favorite things! In this free course, I’ll show you some easy ways to explode the cash back you’re probably currently earning on your spending. On the travel front, points and miles from credit cards have helped my wife and I earn thousands of dollars in free travel and other benefits over the last few years. We’ve visited Asia, several spots in Europe, Mexico, and all over the US. It’s been said that travel is the only thing you buy that makes you richer — and plane tickets are still my favorite thing to buy — but it’s even more fun when you can buy them for free. Most credit cards offer some sort of cash back program, usually 1-2% on all purchases, but sometimes up to 5% for spending in certain categories. This is the bank’s attempt to get you to pull out their card when you make a purchase — instead of all the others in your wallet. That means if you spend an average of $1150 a month on charge-able purchases like food, gas, entertainment, and apparel (the national household average according to one report), you should be earning at least $138 a year in cash back rewards. It’s obviously not a lifestyle-changer, but then again, it’s free money. 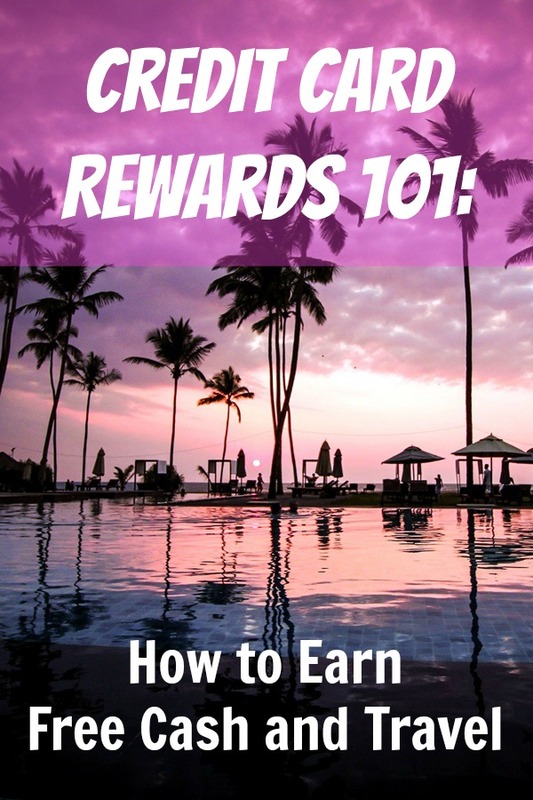 Now if you divided that $13,800 in average annual spending among a few cards with attractive sign-up bonuses, you could earn the equivalent of $1000-2000 in rewards. A heckuva lot better than $138! For years, I had just one or 2 cards in my wallet, and would sit back and happily earn my 1-2% cash back. Knowing what I know now, it pains me to think of all the money I left on the table! What do I mean? The magic really happens when you take advantage of certain sign-up bonuses for new cards — earning the equivalent of 20%, 30%, 40% cash back or more in travel value or statement credit. 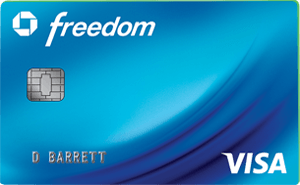 The Chase Freedom card is currently offering $150 as a sign up bonus when you spend $500 in the first 3 months. That’s 30% cash back, or probably 30x better than what you’re earning on your spending right now. And if your household is anything like ours, it won’t be much trouble to spend $500 on your card in 3 months. Plus there’s no annual fee! Click here to compare this card with others. In summary, 1%, pretty weak; 30%, we’re doing much better. Now obviously there’s a bit of strategy involved since you can’t just go opening a new account every time you hit the $500 minimum. More on that below. Before you dive in, there are a few “rules” to keep in mind in this game. First, you don’t want to apply for credit cards in quick succession. Instead, I recommend waiting at least 3 months in between applications. Each application is a note on your credit score. If you’re seen to be applying for too much credit in too short a window, it can raise a red flag — hurting your credit score and making it harder for your application to get approved. Now, I’m not saying I’ve never broken this rule … but think of it as a general guideline or best practice. The 5/24 rule is specific to rewards credit cards issued by Chase. It dictates you can’t open more than 5 accounts with Chase in a 24 month period. The reason this one comes up is because Chase is one of the largest card issuers and has some of the most attractive cards. If you’ve been going after credit card rewards for awhile, you might want to apply for the same card you did in the past. In most cases the banks are OK with this to try and win back your business, but each financial institution has different rules on whether or not you’re eligible for the sign-up bonus again, whether your current card needs to be cancelled, and how long it’s been since your last bonus. Like we’ve discussed, credit card rewards come in two main “flavors”: cash back and travel. But how do you know what’s a good deal and worth applying for? 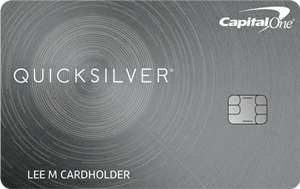 You can check out the current offers on cash back cards here. Strong 30% return on spend bonuses. Low minimum spending requirements to earn that bonus. Click here to learn more about this card and others. Either of these cards would be a great first application to get your feet wet in the world of credit card rewards. You can check out the current offers on travel cards here. General — points and miles can be used across a variety of outlets (Issuers like Capital One, Chase). Hotel — points can be used at certain hotel brands (Marriott, Hilton, SPG, Hyatt). Airline — points can be used on certain airlines (Delta, American, Southwest). 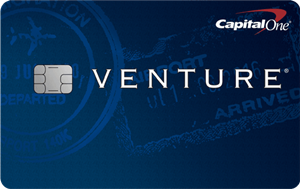 My favorite rewards card is the Capital One Venture card, which offers “double miles” on all purchases. You can trade in your miles for statement credits, gift cards, or travel purchases. Capital One is currently offering a 50,000 mile sign-up bonus (worth $500) after you spend $3000 in the first 3 months. The $95 annual fee is free for the first year. 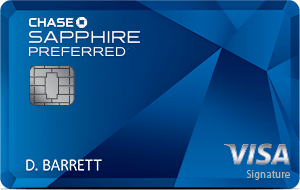 The Chase Sapphire Preferred card also has a strong bonus with 60,000 Ultimate Rewards points (worth $750). At $4000, the minimum spend is a bit higher than the Venture card above, but the bonus points still amount to almost 19% return on spending. There’s a $95 annual fee. For domestic travel, we’re all about Southwest. In fact, one year we flew to Seattle, Chicago, Washington DC, Dallas, Orange County, Charlotte, and Las Vegas — all free on Southwest points. 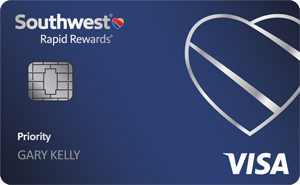 The Southwest Priority Credit Card comes with a 40,000 point sign-up bonus after $1000 in spending in the first 3 months — worth an estimated $600. As a side hustler, you’ve practically doubled your options for credit card rewards by being able to apply for business cards. You already know you should be keeping your business income and expenses separate from your personal accounts, and a business credit card can help make that easier. What Qualifies as a Business? This probably doesn’t come as a shock, but to apply (and get approved) for a business credit card, you DO need a business. Now if you’re side hustling, you’re probably already in business — even if it doesn’t feel like it. If you ever do freelance work, sell stuff on Ebay, run a blog, or do tutoring, all of those could count as a business. Do I Need to Register My Business? By default, you’re already set up as a sole-proprietor. You don’t need to create an LLC or incorporate to apply for business credit cards. Your business also doesn’t need to be profitable or even to have any revenue at all. Most startups have some expenses early on, and for better or worse, banks are often happy to lend you those startup costs. If you are “pre-revenue”, that’s OK. Just fill out the application as accurately and truthfully as possible! Do I Need an EIN? An EIN, or Employer Identification Number, is also not required to apply for business credit cards. Most applications will ask for your social security number anyway. You can check out the best current offers on business credit cards here. 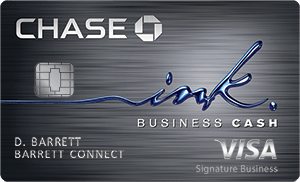 The Ink Cash card currently carries a $500 sign-up bonus after spending $3000 in the first 3 months. I like this one because there’s no annual fee, and you can earn up to 5% cash back for spending in certain common business categories. Click here to learn more and compare this card with others. 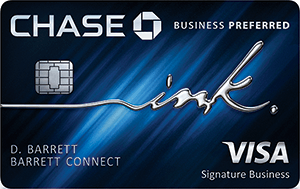 The Chase Ink Business Preferred card can earn you an 80,000 point sign-up bonus (worth $1000), after a $5000 minimum spend in the first 3 months. That’s a healthy 20% return on spend. Where it gets really fun though is this card offers 3x points on advertising spending. If you’re spending ad money on Facebook or Google, this will add up fast! For instance, when I was running my shoe business, I was spending $500-1000 a day on advertising, and racking up a ton of credit card points. Applying for credit cards can impact your credit score, but probably not in the way you’re thinking. There are a few main factors to consider, and I’ll address those below. However, the biggest thing is to be a responsible borrower: don’t spend money you don’t have, don’t max out your cards, and don’t pay late. Each time you apply for a new credit card, that counts as a “credit inquiry” on your credit report. Generally speaking, inquiries are OK, and each one will only ding your score perhaps 3 points. But too many inquiries in too short a time is a red flag to the banks and to your credit score. That’s why I recommend only applying for 1 card every 3 months. The longer you have an open credit account in good standing, the better. That’s why keeping a card forever, especially one with no annual fee, can help your credit age. Credit utilization is the amount you have charged divided by the amount you could charge. Basically, how much of your available credit line are you using? This is where having multiple cards can actually help you. Banks and credit monitoring services want to see low credit utilization — below 30% is a general guideline. That means if you have $10,000 in available credit, but keep less than $3000 charged, you’ll be in good shape here. It’s a signal that you’re a responsible borrower — you have all this money available to you, but you only use a small portion. 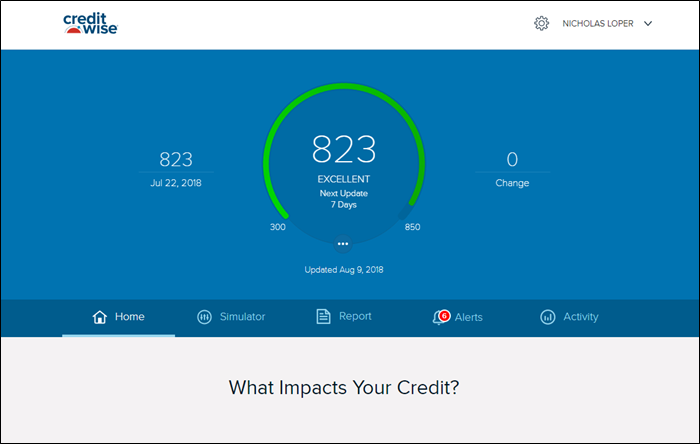 I found a cool free service from Capital One called CreditWise that will give you your actual credit score for free, even if you’re not a Capital One customer. So no, as long as you’re a responsible borrower and credit card user, you don’t have to worry about this harming your credit. What’s in My Wallet and How Do I Track Cards? I created a spreadsheet in Google Docs to help me keep track of the various credit cards I have, their benefits, and the annual fees. If you plan ahead a little bit, it’s usually not hard at all to meet your minimum spending requirements. Especially for the cash back cards we looked at — our family can easily find $500 worth of groceries, utilities, insurance, or other expenses. Transfer over all recurring monthly payments — Internet, TV, cell phones, Netflix, life insurance, utilities. Make the card your “daily driver” for every day expenses like gas and groceries. Plan big purchases around new credit card sign-ups. That could be stuff like furniture or flights. Group or family purchases. When you’re out to dinner with friends, offer to pick up the tab and have everyone give you cash. Medical expenses. With two young kids in the house (and an injury prone dad! ), we sadly have had quite a few doctor bills lately! Inventory purchases. My experiments with the Amazon FBA business were great for meeting minimum spend requirements! The bottom line is to be intentional about using the new card and don’t sign up for something if you can’t see how you’ll reach the minimum spend required for the bonus. 1. Don’t spend money you don’t have. 2. Don’t buy crap you don’t need. Maybe this isn’t a truly entrepreneurial side hustle, but it does save me and my wife pretty significant money each year — dollars that go directly to our bottom line. And that’s the same as earning more, right? What’s in your wallet? Take action today and start working on a new sign-up bonus. Once you learn about the offers and opportunities out there with credit cards — and start to reap the rewards — I think you’ll be as hooked as I am! Note: Comments are not provided or commissioned by the bank advertiser. Comments have not been reviewed, approved or otherwise endorsed by the bank advertiser. It is not the bank advertiser’s responsibility to ensure all posts and/or questions are answered. Lindsay @ the Notorious D.E.B.T. I’d add in a third rule: Pay off the balance in full of our credit card each month. David, you’re absolutely right. The rewards are paid out on the interest profits from people who carry a balance. If the programs weren’t profitable the banks wouldn’t offer them. I think ALL side hustles require incredible self-control and admit this isn’t for everyone. But if you can abide by the responsible usage rules above why not take advantage of the free monies? I did a lot of comparing when starting the business. Everyone recommends the AMEX card, but Chase Ink is almost identical benefits with a much lower annual fee (free the first year). The cash back is great and now your points even link directly into your Amazon account so you don’t even need to bother “ordering” your rewards (unless you want to use it for travel, which does go slightly further in point value). As for changing credit cards every 6 months to chase the best deal, I can appreciate it, but I know I personally lack the patience to update my gazillion profiles with new cc data that often. It’s bad enough when a card gets compromised or renewed with a different number! That is great advice, I was always wondering why I even bother about those points when that is such small amount not worth of thinking. Never taught that I should manage all payment over single card. I have several cards and every use for different purpose. That was not such good idea of mine! Love these tips on traveling for free by putting expenses you were already planning on credit cards to get points! I’m curious though how it affects your credit score having so many cards open. Do you shut the old cards down when you open new ones? If there’s no annual fee, I’ll generally keep the card open. Reason being, your “utilization percentage” (balance/available credit) is a factor in your score. The more cards you have open, even if you never use them, help give you a bigger available credit number to divide by. My understanding is that each application may give you a temporary 3-4 point ding, but if you’re at a 700+, that seems like a pretty insignificant dip percentage-wise. Yes! The second rule is super important. I hate to hear about people buying stuff they don’t need just to get more “reward points”. $55 in cash back a year against how much prices have been increased to account for our shift to credit card spending over cash. But if you pay with cash you’re eating that whole price increase, instead of at least getting some of it back, right? It’s a catch-22 for sure. Although I have heard of obtaining discounts for using cash. I’m honestly too lazy to really care about such a piddling amount really. I don’t spend enough to earn any real serious rewards, and right now airfare is so insanely cheap I’d rather just pay for whatever airline I want. We keep it simple – Fidelity VISA – 2% cash back on everything get’s the lion share of our purchases. Cash back goes directly into a Roth IRA so we’re not inclined to spend it. We charge EVERYTHING. Even our donations to our church. I supplement this with Discover Card specifically targeting the quarterly 5% cash back bonus categories. We usually just apply the cashback bonus to pay off our monthly bill. Obviously both are no annual fee and we pay off our balances every month. Other than the annual fees, I’ve never paid any interest, etc. for over 30 years. I have most of the Chase cards mentioned above and the rewards are pretty nice. Not to mention the convenience compared to cash and checks and tracking everything easily in Quicken. I always pay my balance each month, same as I would pay my bills with cash or checks. Like anything else, if you can’t “trust yourself” with managing credit cards, you’d probably better re-evaluate your financial lifestyle. I LUV travel rewards. Last spring I spent three weeks in New Zealand (thank you Citi AAdvantage) plus 1o days in Cairns and Sydney, Australia (thanks to Chase Sapphire Reserve 100K sign up bonus). Indeed the strategy is only for the disciplined and strong at heart. I used the Chase card to pay for stuff I would have purchased anyway: e.g. rent at the time, health insurance premiums, utilities, charitable donations, but have since downgraded to a Chase Sapphire Preferred card. Bye bye big annual fee–and the temptation to spend. May 2019: Alaskan cruise courtesy of Citi . . . or at least that is the vision. Can hardly wait! Your post is spot-on Nick: I’ve been getting 2% cashback for many years with Fidelity (they offer both Visa and Amex). I find the Fidelity card more convenient than the Chase 2% cards – the cash hits my Fidelity account automatically each month, and I can either buy stocks or transfer to my checking account. I’ve received about $8,000 since I started doing this, that is a HUGE opportunity cost for people paying with cash or a debit card! When I bought a new refrigerator, I “stacked” my rewards by getting an intro reward of $500 (in addition to the regular 1.5%), plus I bought it online going through eBates for another few percentage points. (Of course I researched ahead of time for the exact model I wanted.) Sold my old fridge for a couple hundred dollars, so all together that paid for a good chunk of my new fridge. Also, when using credit cards wisely, don’t forget about all the other benefits they offer. I’ve used the breakage warranty for a cell phone and have contested incorrect charges. There’s also the extended warranty, and some cards offer price protection. Even if I have the cash, I’ll always pay for large purchases with a credit card (and pay it off right away) for the protection that it offers. As you emphasized, though, the key is to use them wisely. Nice! Thanks for sharing Kristen! Nick, do you recommend closing accounts with an annual fee? Not necessarily. In a lot of cases, I can justify the annual fee with the benefits the card offers. For example, my new Alaska card comes with an annual companion fare. I’m confident we’ll use it and buying that ticket outright would cost more than the annual fee. hey, thanks for the writeup. that really interesting topic, which iam also working on know and trying to find the best way to get the most from my creditcard spendings. since iam able to travel more, I try to generate a lot of free miles, but its hard to find the best setup. what helped me alot was a big excel file i Made. with different cards I use, what i spend them on and so on.. Very informative post for everybody. I love reading everything in detail and you write exactly like it. Keep up the good work. I’ve always used a cashback credit card as I like the reward of actual “cash” or at least a reduced credit card bill. However, it’s clear that a rewards card like airmiles can be far more lucrative in terms of bang for buck. Guess I’m going to have to start looking for a new credit card or two. Thanks, im traveling a lot this year and im trying to get out as much as i can from my spendings.